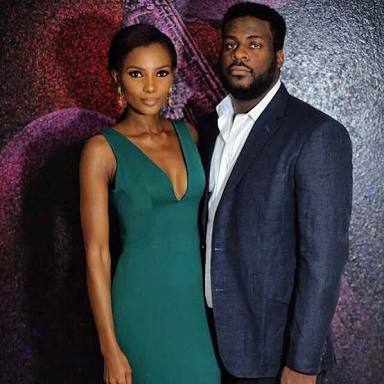 Former Miss World, Agbani Darego, for a long time lived under prying eyes that wanted to know what was going on in her love life. There were various speculations that she was romantically linked with one or two important people in the society. However, the super model put paid to gossips when in a rather secretive manner, she eventually married her lover, Ishiaq, the son of billionaire retired army chief, Theophilus Danjuma. If information reaching us is anything to go by, the marriage that was consummated in April, 2017 in Morocco may have produced a child as it was learnt Agbani delivered in a hospital in London a few days back. Agbani is relayed to have since assumed a happy mood ever since. Like almost every other child not born with silver spoon in their mouth, Abonnema, Rivers State -born Agbani Asenite Darego was stared in the face with different challenges of life, but this leggy girl was undaunted by all she had to contend with so much that she kept focus on her goals. Agbani was resolute to be a beauty queen. Along with her studies, she engaged in modelling and various beauty contests, gradually a ray of hope became brighter as luck smiled on her. Agbani, in 2001 was crowned as Most Beautiful Girl in Nigeria. Her star shone beyond the shores of Nigeria when in the same year, she went ahead to beat other contestants from around the world to be crowned as Miss World. Being the first black African to wear the crown, she became the most celebrated and her life had since been a roller coaster even as she was later signed as a model by Next Model and Ford Model in the United States of America, where she continued her education and became a graduate of psychology from New York University.